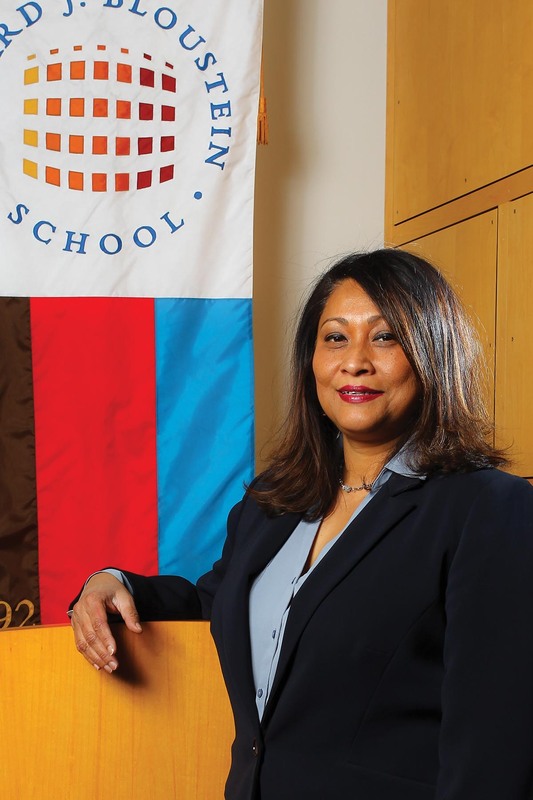 Piyushimita (Vonu) Thakuriah is the Dean of the Edward J Bloustein School of Planning and Public Policy, and Distinguished Professor of Transportation and Urban Informatics. Her research interests are on smart, socially-just and sustainable transportation and traveler behavior. She is particularly interested in automation, AI and the use and effects of Information and Communications Technology on our jobs and our daily lives, and the consequent effects on infrastructure and mobility services. Her work in the area of Urban Informatics span analytics of emerging sources of data for knowledge discovery regarding cities and data-intensive analysis for improved planning, service delivery, livability, learning, engagement, and business and policy innovations. In doing so, she considers issues of privacy, responsible innovation, and emerging power structures associated with data. She has published over 170 journal papers, conference proceedings and technical reports on these topics. Some examples of books and edited work include Transportation and Information: Trends in Technology and Policy (Springer 2013), Proceedings of 4th ACM SIGSPATIAL International Workshop on Computational Transportation Science (ACM Press 2011), Seeing Cities with Big Data: Research, Methods and Applications in Urban Informatics (Springer, 2017), and Proceedings of the ACM First International Workshop on Understanding the City with Urban Informatics (ACM Press, 2015). Her papers have been published in Future Generation Computer Systems, PlosOne, Journal of Transport Geography, Transportation Research Part C, Journal of Transportation Engineering, Transportation Research Part D, and other highly ranked journals. She is currently an Associate Editor of the Harvard Data Science Review, and serves on the editorial boards of Journal of Big Data Analytics in Transportation and Environment and Planning B. She was previously the Editor-in-Chief of the Journal of Urban and Regional Information Systems Association. Vonu has been Principal Investigator of several significant grants in both the US and UK funded by Research Councils UK, European Commission, National Science Foundation, US Department of Transportation, Department of Labor, and other leading state and local research sponsors. To date, she has been Principal Investigator of grants valued at approximately $25 million and has been involved in research grants of $63 million in total (as PI, Co-I or Investigator) in the US and the UK. Vonu was previously the Ch2m Endowed Chair Professor of Transport in the University of Glasgow, UK, and Professor of Urban Planning and Policy in the University of Illinois at Chicago. She was the founding Director and Principal Investigator of the Urban Big Data Centre funded by Research Council UK’s Economic and Social Research Council that includes a national data service to inspire innovations for sustainable and socially just cities. Vonu was previously a European Commission Marie Curie Fellow. 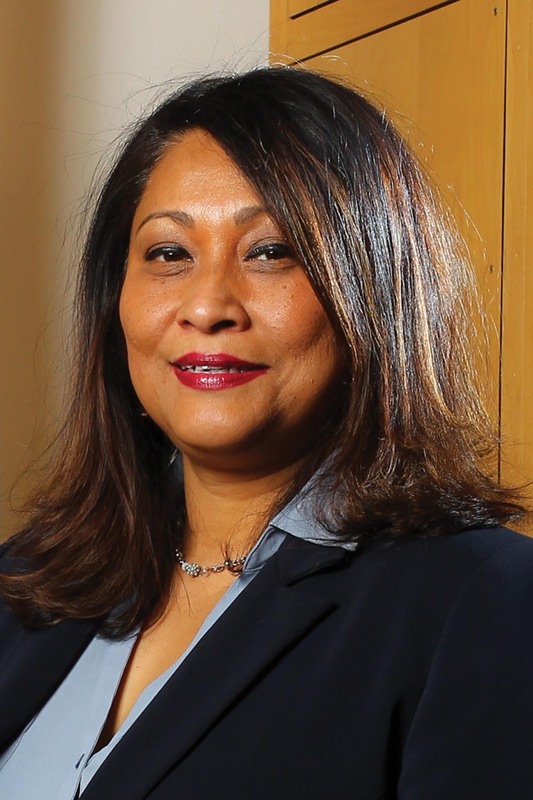 She was also a Fellow of the Committee on Institutional Cooperation (CIC) – Academic Leadership Program (ALP) of the Big Ten Academic Alliance. Her postdoctoral work at the National Institute of Statistical Sciences was funded by a fellowship program of the National Science Foundation’s Division of Mathematical Sciences. Vonu is a member of the Advisory Board of the UK Office of National Statistics Data Science Campus, as well as a member of European Commission/Eurostat’s New Techniques and Technologies for Statistics. She is a co-chair of the Urban Data Interest group of the Research Data Alliance, a joint initiative of the European Commission, National Science Foundation, National Institute of Standards and Technology, and the Australian Government’s Department of Innovation. She is past (and founding) co-chair of the joint subcommittee on Computational Transportation and Society of the Transportation Research Board, National Academy of Sciences, (now called Urban Big Data joint subcommittee), and a member of the Intelligent Transportation Systems World Congress Program Committee for North America. Vonu was a long-time member of the Chicago Metropolitan Agency for Planning’s Transportation Committee and the Advanced Technology Task Force, due to which she was extensively involved in large-scale regional and metropolitan transportation planning matters. She also gained local and state transportation planning and operations expertise through PI-ship of research grants funded by the Illinois Department of Transportation, Chicago Department of Transportation, CMAP, and other local and state agencies. Vonu has consulted on or otherwise collaborated on transport or data projects in Malaysia, China, India, Australia, Colombia, the Dominican Republic, and several European countries. She has provided testimony to US Congress and has given input to the UK Parliamentary Office of Science and Technology as well as to the US Government Accountability Office. Selected recent non-university keynotes were in the European Commission (Brussels), Royal Society of Edinburgh (Scotland), European Commission (Luxembourg), Royal Academy of Engineering (London, UK), Leibnitz Center for Informatics (Germany), Statistics Netherlands (Herleen, Netherlands), Tongji University (Shanghai, China), and Helsinki City Hall (Finland). Anejionu, O. C. D., P. Thakuriah, A. McHugh, Y. Sun, D. McArthur, P. Mason, and Rod Walpole (2019). Spatial urban data system: A cloud-enabled big data infrastructure for social and economic urban analytics. In Future Generation Computer Systems, Vol 98, pp. 456-473. Sila-Nowicka, K. and P. Thakuriah (2019). Multi-sensor movement analysis for transport safety and health applications. In PLoSONE 14(1):e0210090. Chen L., Sun Y., Thakuriah P. (2020) Modelling and Predicting Individual Salaries in United Kingdom with Graph Convolutional Network. In: Madureira A., Abraham A., Gandhi N., Varela M. (eds) Hybrid Intelligent Systems. HIS 2018. Advances in Intelligent Systems and Computing, vol 923. Springer. Chen, L., K. Ampountolas and P. Thakuriah (2019). Predicting Uber Demand in NYC with Wavenet. Proc. SMART ACCESSIBILITY 2019: The Fourth International Conference on Universal Accessibility in the Internet of Things and Smart Environments, pp. 1-5. Paule, J. D. G., Y. Sun and P. Thakuriah (2018). Beyond Geo-Tagged Tweets: Exploring the Geo-Localization of Tweets for Transportation Applications. In Transportation Analytics in the Era of Big Data, Editors: Ukkusuri, Satish, Yang, Chao, Springer. ISBN 978-3-319-75862-6, pp. 1-21. European Commission, Eurostat New Techniques and Technologies for Statistics 2019, Brussels, Belgium. Urban Informatics and Smart Cities: Prospects and Challenges with New Forms of Data. Keynote speech, March 13, 2019. Royal Society of Edinburgh and the Engineering and Physical Sciences Research Council (EPSRC) Digital Economy Theme. Social and Economic Aspects of Urban Informatics. Keynote speech, May 30, 2018. 4th Conference on Sustainable Urban Mobility – CSUM2018, Skiathos Island, Greece. Exploring social and economic implications of big data for mobility. Keynote speech, May 24, 2018. University of Leeds, New and Emerging Forms of Data in Policy Making: Transport, Health and Air Quality Management. New Forms of Data and Mobility Analysis. Keynote speech, April 24, 2018. Joint meeting of the Directors of Methodology and Information Technology, National Statistical agencies of member countries of the European Union and associated countries, and the statistical agency of the European Commission, Eurostat, Luxembourg. Urban Big Data Centre: Key Lessons for Smart Statistics. Keynote speech, Feb 23, 2018.